Stitchery! 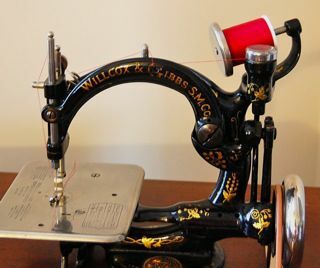 Sewing Machine Attachments, Needle, and Thread: Questions? Frustrating Attachments? 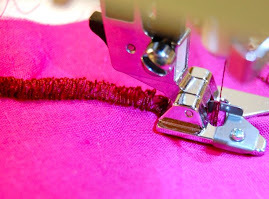 I love a true challenge, especially when it comes to using my sewing attachments. If you read the earlier post, you saw my trash basket of errors. At times it can get pretty full and, yes, it will be frustrating. What are some of your frustrations? I would love you to send me your thoughts and I will respond with some tips and hints. Which attachment do you find the hardest to use? Which attachment are you most disappointed with? Which one will you never be without? I love hearing from you and maybe these prompts will help. Send a comment or thought. I am also very excited to share the link for my upcoming book. The publisher has a wonderful pre-order sale price. 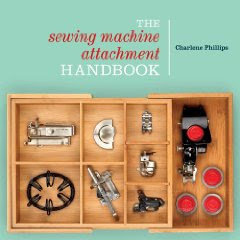 Click and find The Sewing Machine Attachment Handbook. 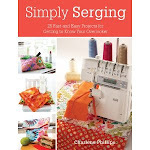 As always - Happy Sewing! 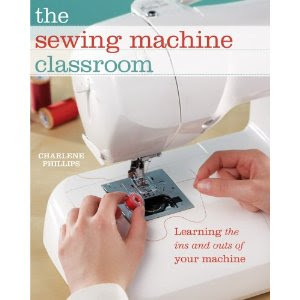 how do you start the hems with the naroow hemmer- or any hemmer. I need to "see how". I've read, re-read and tried lots of ideas. I have used my seam ripper more than the attatchment! 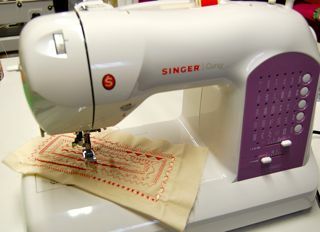 The dreaded seam ripper....I used to hate it when taking Home Ec (that term dates me, doesn't it?). I always tried to NOT buy it so I wouldn't have to use it. I have ripped more than my share. I do have some instructions that might help you, complete with some photos. I need something visual myself. If you go to my web site, it should be about the 4th article down. let me know if it doesn't help or if you need specific help. Email me at charlene@thesewbox.com. You can click on "foot hemmer" and it is a pdf file. Let me know! 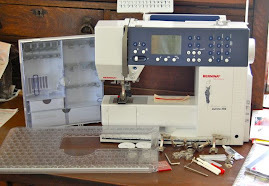 I'm new again to sewing (my gramma gave me her machine after she had it serviced). I haven't sewn anything more difficult than a hem in 15 years and I'm teaching myself how to sew clothes. I just figured out how to use the invisible zipper foot and it is the coolest thing ever! Why didn't I try sewing things when I still had a job and could afford to feed my re-found fabric addiction!? Next step: I want a the ruffler and adjustable hemming attachments for my Featherweight. I have the button holer, but I'm scared of it so I gave it to my mother. I remember sewing my fingers with it as a kid. Ouch! It certainly is an addiction, isn't it? And such a fun one at that! There are so many attachments for our machines, it is absolutely hard to decide what to learn and use first! Now sewing your fingers with the buttonholer would be quite painful, but the ruffler will be loads of fun to use! It is amazing how fast the ruffles are made - then learn how to make the ruffle and sew onto your fabric at the same time! Really a time-saver. Enjoy your "new" machine!